Wayne’s famed Aux Petits Delices Bakery set the scene for a fun afternoon of sweets and suds. Beer and candy go together like…well, actually quite nicely. A most unusual couple for any diehard beer lover and foodie like myself, it never occurred to me to pit gourmet chocolate, desserts and even fruit paste with the world’s finest beer. But when my friend ‘Dr.’ Joel Armato of New Holland Brewing Company suggested this would make for a most unique piece of winter editorial, I was game—albeit slightly skeptical. Turns out it is a gourmand’s dream. Armato, I and three others (noted below) joined AML senior staff photographer Heather Berkenstock for an intriguing afternoon of several pairings and conversation at Chef Patrick Gauthron’s wildly successful Main Line bakery, Aux Petits Delices. Gauthron has been in the heart of Wayne for almost a quarter of a century—a phenomenal feat for any small business. A former pastry chef at Le Bec Fin, Chef Patrick has carved out a loyal following among Main Line brides with his award-winning wedding cakes. His quaint bakery, open six days a week, attracts visitors from as far away as central Jersey who have deemed the travel worthy of his fine pastries, cakes and chocolates. 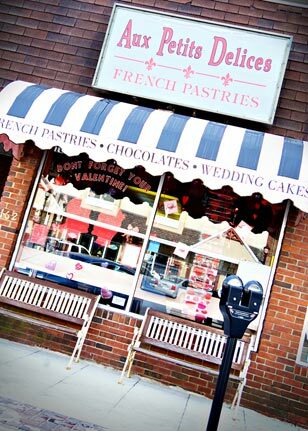 Lucky for me Aux Petits Delices is in my hometown so I can pop in there any time! For beer lovers, AML brought in our resident beer expert Matt Guyer, owner of Wayne’s Beer Yard. Guyer grabbed a handful of the best beers from his 1,000-plus beer selection for our unique tasting and foodie ‘experiment.’ We were also joined by Andy Dickerson, partner of the Main Line’s Belgium beer bar Teresa’s Next Door. Looking for a fun way to wow your Main Line guests this winter? I recommend hosting a beer and chocolate party! 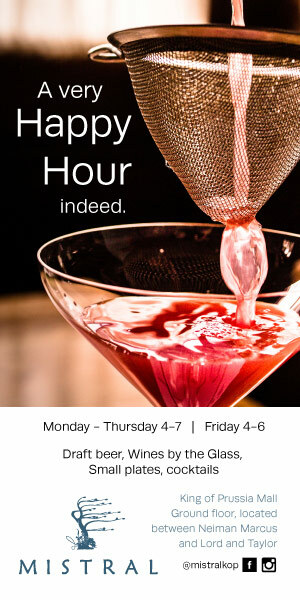 Since the Beer Yard and the bakery are within walking distance in Wayne, you can make a quick shopping spree into one chic entertaining event for friends and family. Lost Coast’s Tangerine Wheat is a brand new beer from the award-winning California brewery and, of course, brand new to Guyer’s inventory. A citrus ale, Tangerine Wheat combines Lost Coast’s Harvest Wheat with natural tangerine flavors. “One of the things I did before hand for this article, from a research perspective, is taste the beer and chocolate with Andy (Dickerson) and one of my Troegs sales reps-but not all in obvious ways. I did not want to be too literal with these pairings because beer and chocolate is an exciting experiment and I think it’s to each their own, to a degree. As far as this first pairing, there is a little bit more bitterness in the Tangerine Wheat then I expected,” explained Guyer. “It’s pretty bitter, there a lot of hops. My chocolates are not that sweet, my chocolates have 72% cocoa paste so this candied orange is a bittersweet chocolate. I feel like a sweeter beer, like a Leffe, would be better pairing with this or even a Chimay or Blonde,” countered Gauthron. “I expected with the strength of the citrus aroma, a bright crispness would wash things away—as far as countering the bitterness of the chocolate—but that’s not the case with this beer,” added Armato. Even though Guyer and the crew did not feel that the Tangerine Wheat paired best with the candied orange chocolate, they all gave big kudos to this ale. Guyer added he thinks this new beer on the block from Lost Coast is going to be one of his best sellers for the late spring and summer months at the Beer Yard. 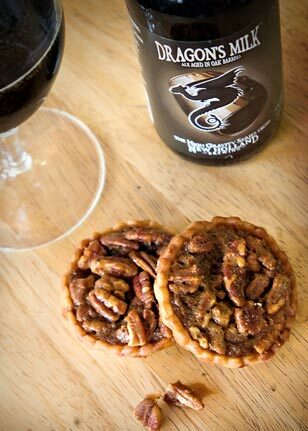 A wonderful winter dessert awaits with New Holland’s Dragon Milk and Chef Patrick’s delectable mini pecan pies. Ommegang’s Three Philosophers was originally paired up with Gauthron’s Griottine chocolate. A blend of Belgian dark strong ale and Lindeman’s Kriek, Three Philosophers is a Belgian Style Quadrupel with a 9.8% ABV. Griottines are small sour cherries preserved in alcohol: they’re pitted and macerated in light kirsch syrup. But Chef Patrick felt Three Philosophers was competing, and not complimenting, the sour cherry-based chocolate. So, it was paired up with his milk chocolate caramels. Three Philosophers is a rich, cherry limbic that exudes a flavor of dark chocolate and cherry cordials. It should be served as close to room temperature as possible to fully appreciate its complex, velvet profile. “A lot of people still think beer is beer and chocolate is chocolate. These are both very complex foods and I think if you take the time to taste and discuss fine food and beer, it will really open your eyes to a whole new, exciting world,” explained Guyer. 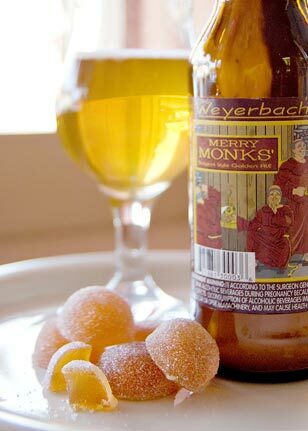 Weyerbacher’s Merry Monks’ is the perfect complement to Gauthron’s white peach fruit paste. Dragon’s Milk, from Michigan’s New Holland Brewing Company, is ale aged in bourbon barrels. “This is the absolute perfect beer with my pecan pies, with the molasses, it just brings out the flavor very well,” enthused Gauthron. A sweet, dark malt Dragon’s Milk matched well with both the caramel chocolates and Gauthron’s mini pecan pies. With a 10% ABV, its best served in a brandy snifter to bring out the bourbon and vanilla flavors. Armato suggested pairing Dragon’s Milk with a caramel or vanilla ice cream as well. Merry Monks’ is a fruity Belgian Tripel with an aroma that hints of pear, strawberry and lemon. It is the Easton, Pa brewery’s most popular ale to date and Guyer and Gauthron chose to match it with the bakery’s white peach fruit paste. 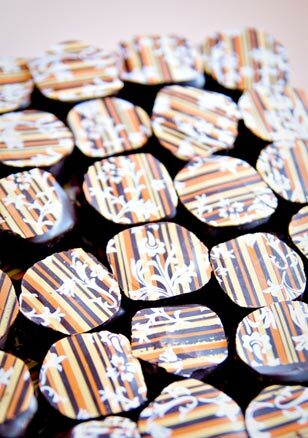 Aux Petits Delices’ fruit pastes are one of the pastry chef’s most coveted sweets. “It is very difficult to make a good paste, extremely challenging. It is really a science. My paste has to be cooked at 108 degrees and when you are making paste each fruit behaves differently. Making fruit paste in the summer is a nightmare! It cannot be too gooey or chewy, I am very proud of my paste and my marmalades,” said Gauthron. Griottine chocolate features small sour cherries that are preserved in alcohol. Guyer cleverly paired the sweet with Lindeman’s Cassis Lambic. Chef Patrick’s verdict on this sophisticated pairing? “Incredible, this is really a wine.” Gauthron is a native of Burgundy and his cassis sorbet is a summer favorite for his Main Line customers. “Cassis has ten times the flavor of raspberry; there is no other fruit like it. This beer is awesome, just awesome!” Guyer advised when having a beer and chocolate tasting to start with a small sip of beer to warm your palate, then a nibble of the chocolate or candy and then another sip of beer. “This is not about throwing back beers and scarfing down chocolates. 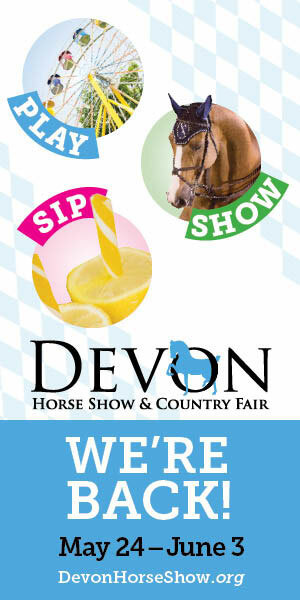 It’s a tasting, just like you would approach wine and cheese, so it’s small bites at a time. 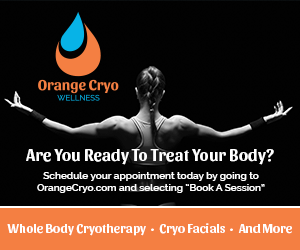 This way you really get a chance to appreciate the interesting flavors you are experiencing,” advised Guyer. For 24, 12 oz. bottles of this lambic, it’s about $120 a case at the Beer Yard. Guyer said the lambics age very well so a case can stand for quite some time. 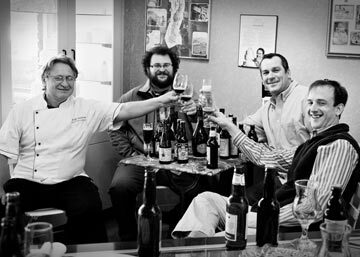 The fellas who were given the tough task of tasting Chef Patrick’s gourmet chocolate and some of the world’s best beer. Clockwise from left to right; Chef Patrick Gauthron, Joel Armato of New Holland Brewing Company, the Beer Yard’s Matt Guyer and Teresa’s Next Door partner Andy Dickerson. Troegs’ Brewery flagship beer is a winner of the Washington Post Beer Madness. With a 6% ABV, Hop Back offers a deep amber color with a spicy and bold flavor. It is balanced with caramel malt, which brought Guyer to consider originally pairing this with a caramel chocolate. Instead, it was matched with Gauthron’s Espelette. Espelette is a mild but very flavorful chili pepper from the French Basque country. “I think it is doing very well with this chocolate—this is my favorite chocolate I carry. This beer is very round, it’s not too bitter and has many different layers-the caramel I can definitely sense,” said Gauthron. “I think the beer is really bringing a lot out of the chocolate. This is a strong match,” added Armato. DeuS is a premium Belgium beer that complimented Gauthron’s raspberry fruit paste. DeuS, with a purposeful capital ‘S’, is a premium Belgium beer manufactured in Buggenhout, Belgium by a brewery that was founded in 1791. 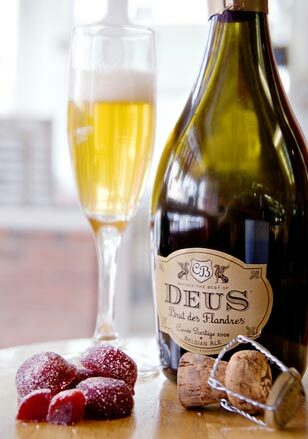 Known on the company’s website as ‘the sparkling divine drink,’ DeuS delivers a well-disguised 11.5% ABV and is most refreshing served as an aperitif in a chilled flute glass. 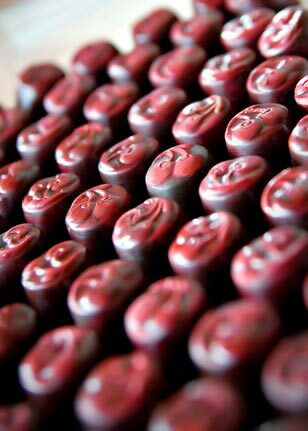 The crowd favorite of the day, the bakery’s succulent raspberry fruit paste packed quite a punch coupled with DeuS. “Nose to nose this pairing has the ultimate wow factor,” enthused Armato. DeuS is matured in the Champagne region of France. Its corked bottle is the same shape used for Dom Perignon champagne. As for the raspberry fruit paste, Chef explained it’s a never ending, and equally complex, process. “My recipes I am always tweaking, they can never be the same. Chefs are always moving forward-with my pastes especially the flavor is so important,” explained Gauthron. Both Dickerson and Gauthron concurred the bakery’s white peach fruit paste would pair well with the bubbly, creamy DeuS too. Aux Petits Delices is located at 162 East Lancaster Avenue in Wayne. Visit auxpetits.com or call 610-971-0300 to place an order. 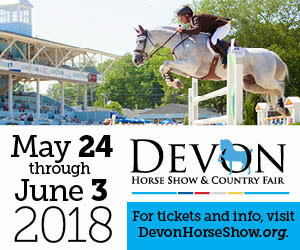 The bakery is open Tues-Fri 7:30 to 6pm, Saturdays 7:30-5:30 and Sundays 7:30 to 1:30pm. Aux Petits is closed most Mondays. The Beer Yard is located at 218 East Lancaster Avenue Wayne, PA behind the Wayne Starbucks. Visit beeryard.com for weekly updates about the inventory in stock. Call 610-688-3431 for or you can email Matt Guyer directly at info@beeryard.com.